Quality driven development is all about us. We are focused on adding all the necessary features to your next software solution, introducing structure and transparency to the whole development process. We start with a Non-Disclosure Agreement signing, indicate our strategy, offer design mock-ups and agree on the development terms. It is followed by the development process itself, which is adjusted and well-thought and includes planning, analysis, design, development activities, testing of the product, implementation and launch. After these tasks are complete, we can decide on further cooperation options. 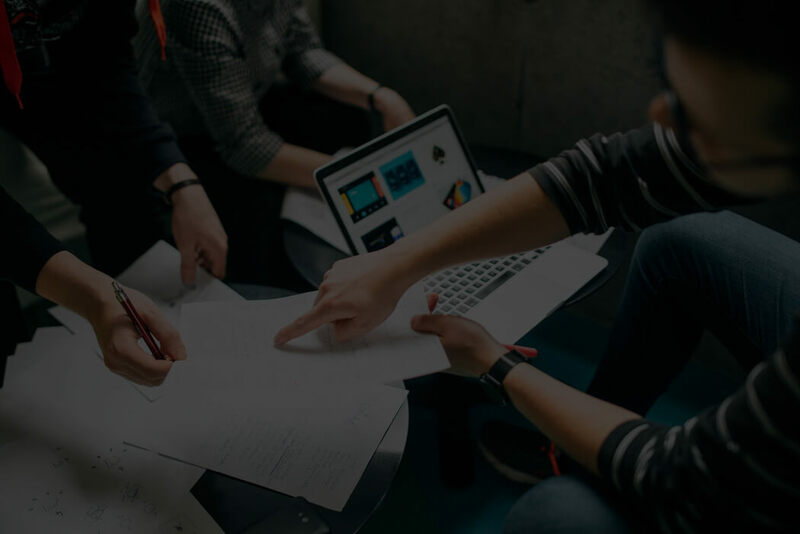 Being a full cycle digital agency and having more that 10 years of experience in this sphere, we can offer you high level of services which would help to build the strategy of your product and avoid multiple mistakes that are likely to be made by beginners. Challenging but perspective software projects demand from its vendors the highest level of responsibility. We take the choice of development methodologies approach very seriously. Code Inspiration software development company adds value to what you do in a tangible and definite way to reach final goals of your business. We are Agile methodology adepts. Here at Code Inspiration, we build efficient Agile teams, capable of developing software solutions that meet customer expectations. What is the idea of Agile methodology? Agile is aimed at lean and flexible software development. 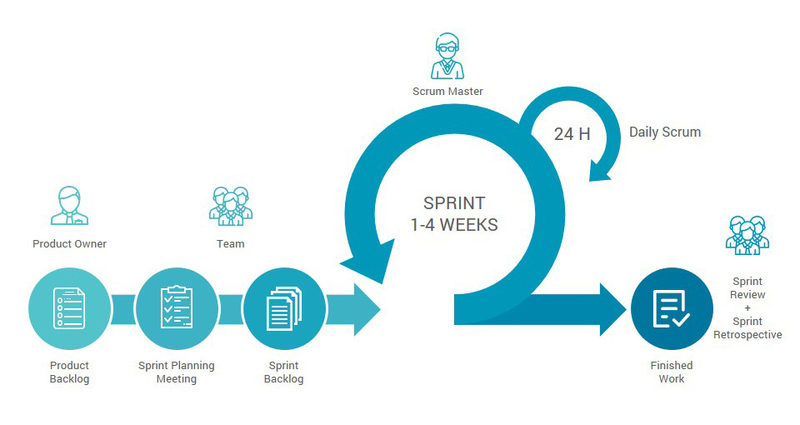 The whole development process is divided into sprints, each of which consists of a certain number of tasks and an indicated scope of work performed in the current sprint. At any stage of the current sprint you can add tasks to the backlog and discuss with the team to include them in the following sprint. Each sprint lasts 2-3 weeks, and adjustments are made easier. That’s why the Agile methodology is considered to be the most flexible and client-oriented. Depending on the project requirements, timeline and project size, we offer the following cooperation models that would be the best fit. This is the type of the working model where the customer pays for the man-hours spent by the developers working on the product. T&M is mostly applied when it is impossible to determine the full scope of work or the timing of its implementation. T&M models helps you to avoid risks which are always included into every fix price estimation. Well-coordinated development team works on a transparent methodology Scrum in a tracking system JIRA what means you can control all our processes in real time. Transparent hourly rates of developers allow the customer to control tasks, implementation timelines and budget. A fixed price model is mostly used for the projects with a limited functionality, where changes or additions are unlikely to be made.This model suites mostly the companies with an indicated budget and a definite timeline for release. There is no financial risk for you as a client to go over budget. This pricing model, unlike others, doesn’t require client’s participation and control during every stage of the process: all you need to do is wait until the development team does the work for you. For custom software development services, Code Inspiration offers dedicated software developers’ teams and outstaffing options to work exclusively on your projects just like your in-house team. Within the two first mentioned models you would pay for the work of a project manager, a dedicated team or developer can be managed by your own. Plain and simple. It is cheaper to hire a dedicated team than gather a team on your own. You will always work with the same developers, who are deeply engaged into your concrete software and know the code insight-out. To ensure the permanent availability of our customers’ solutions and systems we provide technical maintenance and support services. Once the development and QA activities are over, the new software product is launched, the market won’t stand still and for sure your software solution would require time-to-time updates and customization for new software devices. Code Inspiration team is ready to help you to plan and implement your post-launch maintenance and support. Due to the fact that software solutions we develop are successfully implemented and developed, be it a web or mobile app, Code Inspiration offers the possibility to develop new functions and implementations of changes which are highly desired by the users. The number of users grows, their demands become more sophisticated, that’s why maintenance and support services are inevitable. Updates run smoothly as you have a reliable software development partner. We offer our customers the opportunity to sign a Service-Level Agreement (SLA), which will provide you with the development team responsible to react quickly to any issue or question you might have. Flexible packages allow us to work both with large companies and small firms that have limited budgets. Our responsible managers will reply to you asap and choose the most optimal development strategy. Be a success with Code Inspiration’s team!